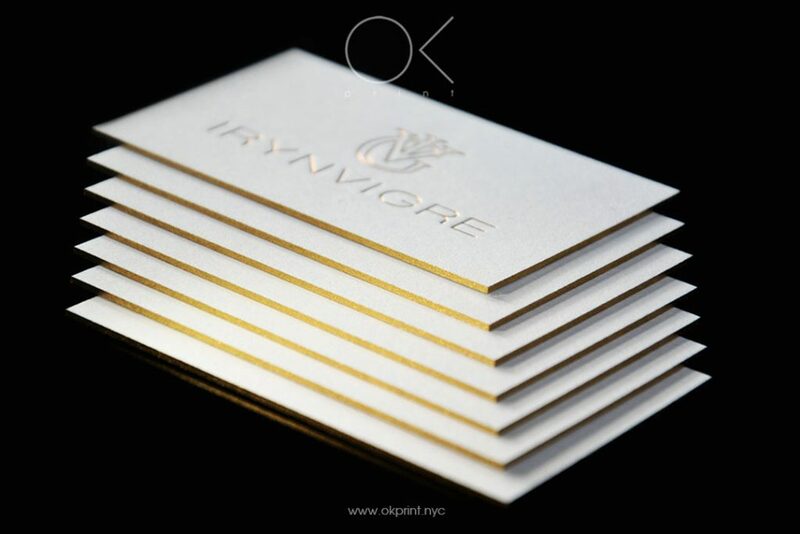 Edge gilded business cards feature a sparkling edge, that is hand applied – either in gold or silver, on card stock that can range up to 400gsm. We can even couple this subtle sparkle with the duplex technique (where two, three or even four different coloured cards are glued together). 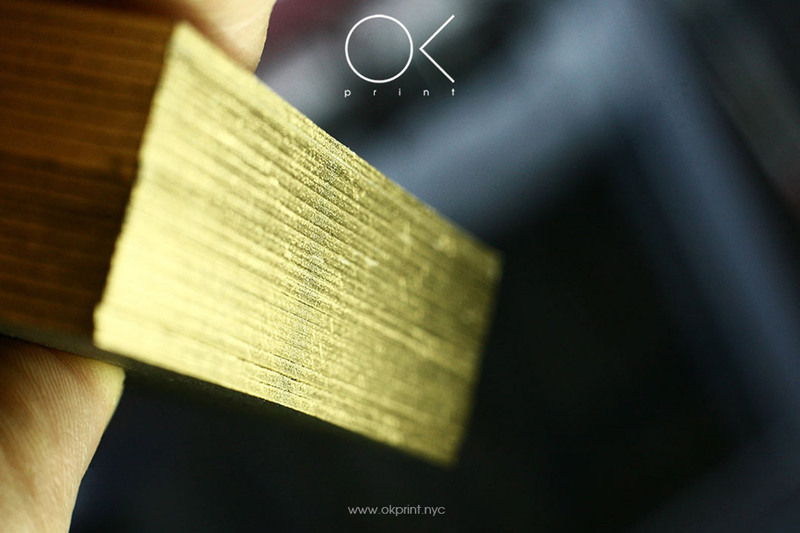 Gild Edged Business Cards – Perhaps the Ultimate Option for Brands in the Luxury Realm. 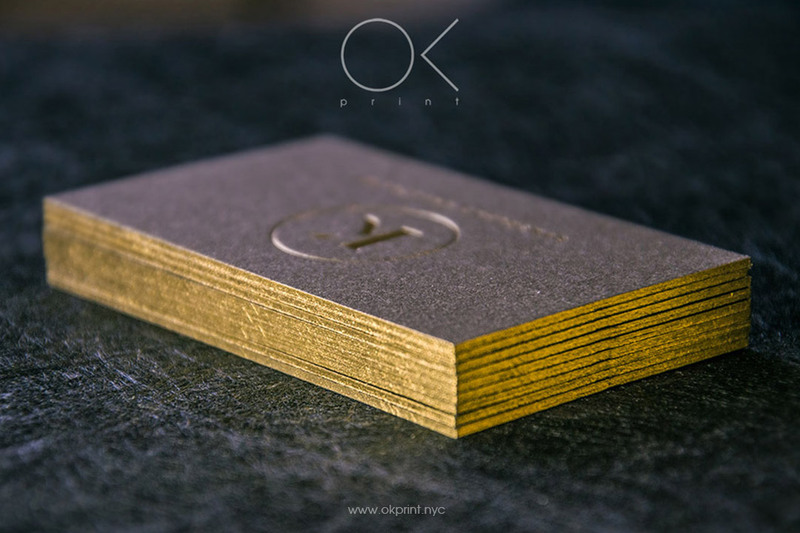 There may be few other types of business cards that rival gilded edged cards when it comes to instantly communicating brand values of luxury, prestige and quality. This beautiful effect truly brings classic style fonts to life – when coupled with embossing or debossing the impact is both visual, and tactile. go for gold or select shimmering silver for an impression that’ll last. 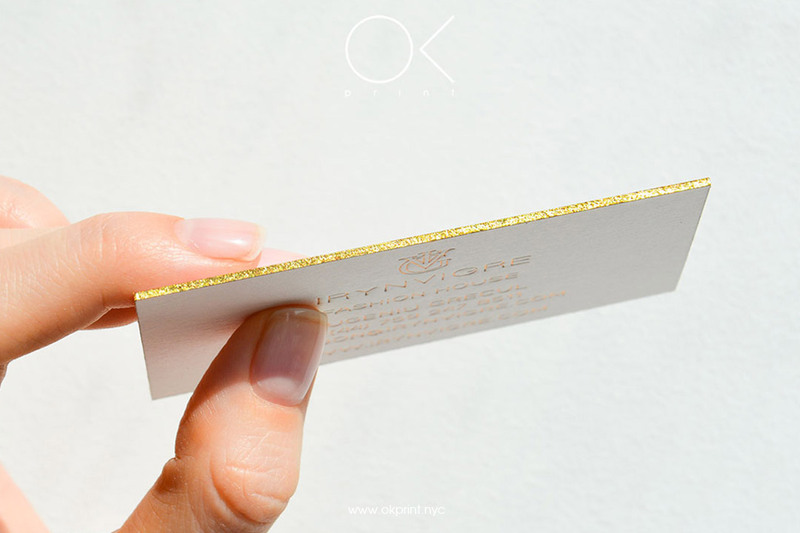 That sparkling first impression starts here – order your edge gilded business cards today, or contact the team for creative inspiration as to how this business card technique can truly do your brand justice. 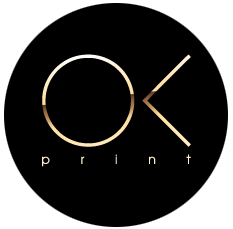 Gilded edging traditionally involves silver edging with white card, or gold edging with black cards; however the versatility of this effect truly means that you can team gilding with bolder and more creative colours and designs. Popular combinations include: silver with orange, red or teal; and gold with plum, racing green or royal blue. 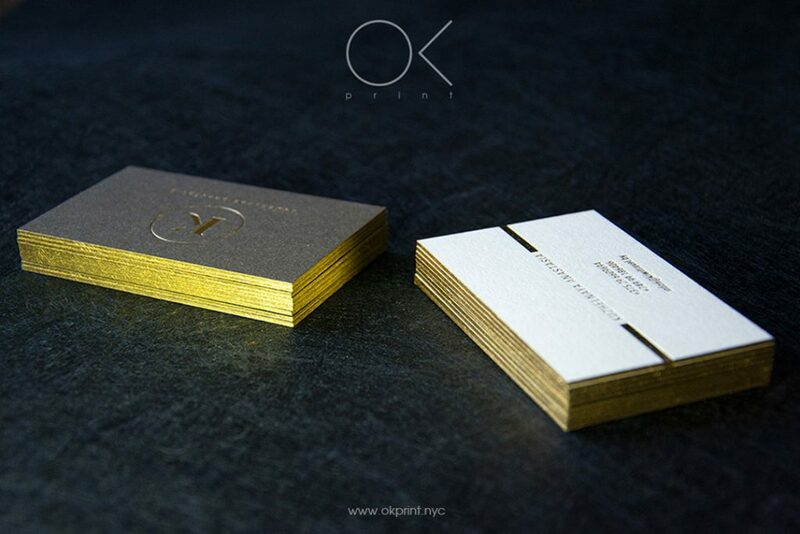 You can also team gild edging with foil printed business cards for a seamless glistening effect from front, to back.